That really says it all, doesn't it? What a beautiful thought. 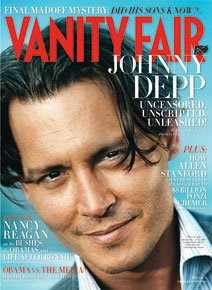 And what a beautiful cover...what a very anti-Photoshop/airbrush statement, no? with all of the recent commotion about airbrushed, faux perfection on magazine covers....and how unusual for a close up photo to take up so much room.....a unique, nontraditional, and captivating cover. This is not a vanity photo but perfectly gorgeous in every way if you ask me. See what I mean?